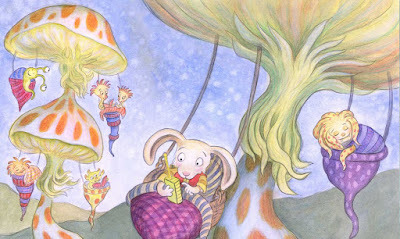 This month, Kingston LINC celebrates Tasmanian children’s book illustrators with exhibits by four locally-based artists: Shiloh Longbottom, Gay McKinnon, Andrea Potter and Rachel Tribout. 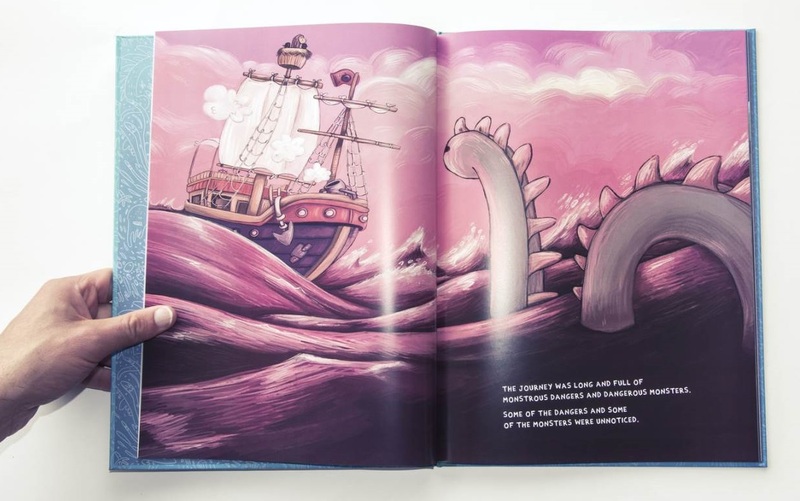 Interestingly, three of the four exhibits are based on author-illustrator collaborations between a parent and child, and all are by creators embracing the challenges of independent publishing. 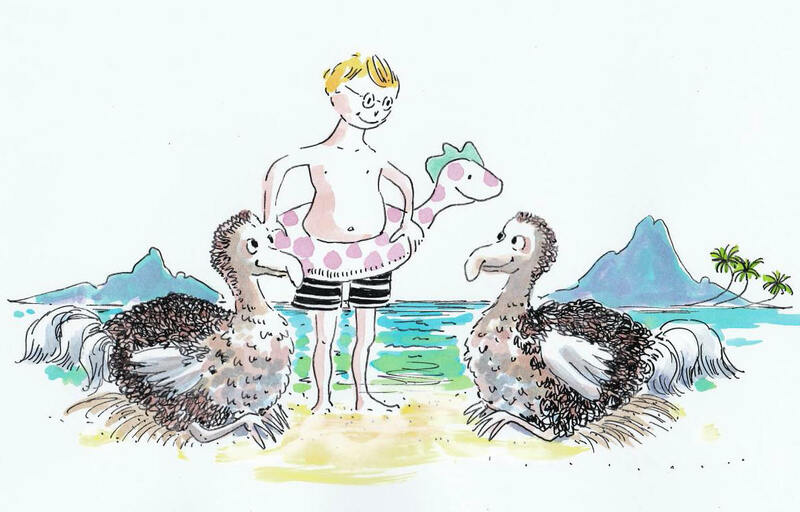 Tasmania appears to be fertile ground for indie children’s book creators, with the success of Jennifer Cossin’s 2017 CBCA Honours book, the self-published ‘A-Z of Endangered Animals’ (later acquired by Hachette) demonstrating the high standards being reached. 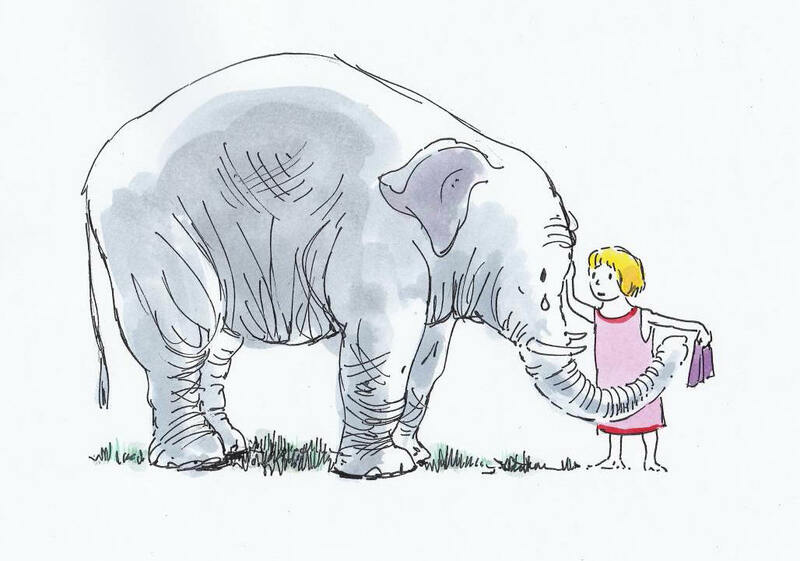 As well as enriching the publishing landscape with local flavour, independently produced Tasmanian books allow new and diverse voices to be heard, bridging gaps in an industry that can afford to publish only a small number of new books per year. Author Steve Isham and his daughter, illustrator and designer Shiloh Longbottom, collaborated to create the elegant Elephant and the Dog. 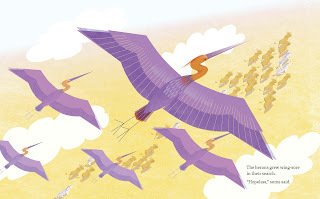 This African-themed picture book, produced as a fundraiser for the Mafunzo Project, was crowd-funded and money raised from its sales helps to provide training for medical and nursing students at the Panzi Hospital in the Democratic Republic of Congo. The artwork is stylized, with delicate colour harmonies and strongly geometric forms. 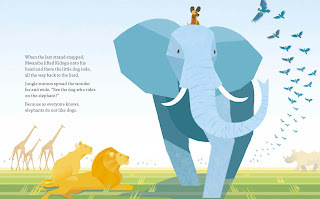 Artist Gay McKinnon collaborated with her father, light verse writer Ray Kelley, to create Of Man and Beast, a display of illustrated humorous verse for children and adults. A number of the poems draw on the tradition of Harry Graham’s 1901 Ruthless Rhymes for Heartless Homes, including A Disproportionary Tale, the cautionary story of young Bess who plays with her yoyo to excess. Others, such as Pocket Pygmy Possum Poem, are based on actual events and animal qualities. The illustrations are delicate hand-painted ink and watercolour sketches, distilled down to a minimum of lines. 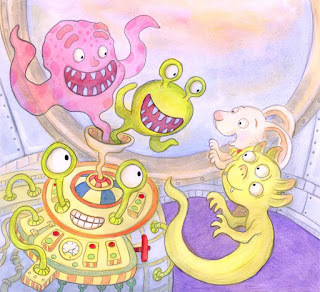 Fine artist and illustrator Andrea Faith Potter works in schools as a teacher, and with gifted children, leading her to consider directly the needs of her audience in terms of text, artwork and publishing platform. Having already illustrated two books by Jackie French, Andrea is now working towards creating her own picture books for iPad and other digital readers. Her soft, glowing paintings are created using watercolour built up in layers with coloured pencil and incorporate fantasy, science fiction, humour and adventure. Andrea says: ‘I love illustrating stories that encourage children to imagine.’ Her exhibit includes originals of images created for two iPad picture books in progress, one of which (To Planet Earth) is written by her daughter Lana Faith Young. 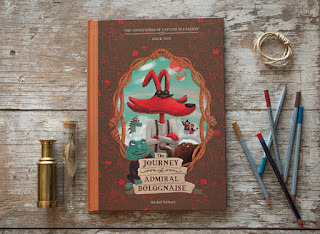 The fourth display by French-Tasmanian author-illustrator and graphic designer Rachel Tribout is a lively mix of maps, sketches, images and props from her two books from the Captain Blueberry series, The Monsters of Tasmania and The Journey of Admiral Bolognaise. Rachel's colourful, multi-layered digital illustrations bring the Tasmanian landscape to life in a fresh and exciting way. 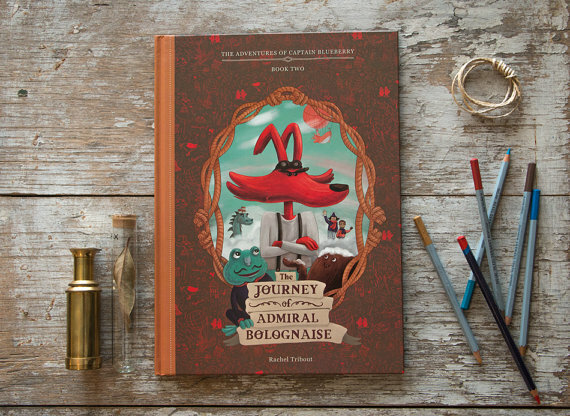 The Captain Blueberry series is a mix of inspirations from Rachel's childhood, her personal interest and living in Tasmania. Illustrator and CBCA Tasmania Newsletter Editor. Editor's note. Many thanks to Gay for sharing this inspiring exhibition with readers. Please share with friends and family and encourage them to visit Kingston LINC. The exhibition can be seen at Kingston LINC from now until 28th February. 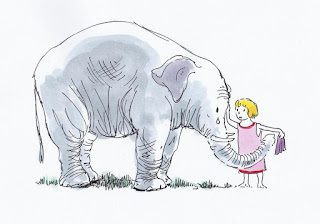 Thanks for a great blog, Gay - and heartfelt congratulations and thanks to the Kingston Library for its promotion of local writers and illustrators.